The European Society for Prevention Research (EUSPR) will advance the science base of environmental, universal, selective and indicated prevention aimed at improving human health and well-being and addressing health inequalities. Cornerstones of this advancement are: cross-disciplinary networks of scientists, policy makers and practitioners, methodology development, promotion of higher education and career development in prevention and implementation research. Membership of the Society is open to any qualified worker in a discipline relevant to prevention, including all European and international researchers, professionals, practitioners, policy makers and students who share the Society’s aims. Although we are primarily a European Society we encourage membership from all countries, particularly those professionals who wish to develop collaborative links with European researchers. In the European countries there is a growing interest for evidence-based prevention to tackle determinants of disease and ill-health, which is not paralleled by investment in human resources and education. Consequently, this sector of research is not on the top agenda of most universities and institutions. Prevention scientists work in a rather isolated and mono-disciplinary world, while good quality research in this field requires cooperation and methodological development beyond the borders of traditional academic disciplines such as medicine, psychology, epidemiology, biostatistics, social scientists, anthropology. There are no scientific societies in Europe that include these very specific themes. The EUSPR was born to fill this gap. On the 30th of December 2010 the Society was formally approved and registered by the Polish authorities as an international not-for-profit organization, based at the Institute of Psychiatry and Neurology in Warsaw. An amended set of by-laws was agreed during the Members Meeting on 9th December 2011 in Lisbon, Portugal. A further set of amended by-laws was agreed during the Members Meeting on 16th October 2014 in Palma de Mallorca, Majorca. Jeremy is a Lecturer in the Centre for Trials Research and the DECIPHer Centre, at Cardiff University, Wales, UK. His main research interests are the evaluation of school- and family-based prevention interventions – particularly relating to alcohol misuse, and the study of programme implementation processes. Mariàngels is the European Project Manager at the European Institute of Studies on Prevention network. She has been actively involved in research in risk behaviours and implementation of prevention programmes coordinating several EU funded projects (see http://www.irefrea.eu for projects and publications). She is actively involved in networks like the Club Health initiative and the Civil Society Forum on Drugs, and actively collaborates in the launching of the Platform on Best Practice promoted by the Spanish National Plan on Drugs. Andrew has been a member of EUSPR since it was founded and has served a member of the advisory board and currently as Treasurer. 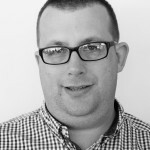 He currently spreads his time between Public Health England, where he is an Alcohol Programme Implementation Manager, and the Making Every Adult Matter coalition, as a consultant focused on substance misuse policy for adults with multiple needs. He was previously the Director of Policy, Influence and Engagement for DrugScope, and before that Director of Programmes with Mentor UK. 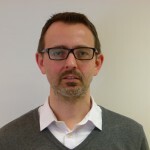 Andrew has spent over 10 years in the field, and has served on a number of expert advisory groups for the UK government including the Expert Panel on New Psychoactive Substances, and the Independent Review into the Impact on Employment Outcomes of Drug or Alcohol Addiction, and Obesity. Outside of work Andrew spent 9 years as an elected local councillor in the part of London where he lives taking a particular interest in children’s services, he has also served as a school governor. David is Professor of Community Psychology and Public Health, and his programme of work is focused on understanding (and improving) behaviour in context, especially how social structures (e.g. families, schools, communities, employers, regulation, government) can support improved health and wellbeing in communities and populations. A focus is the prevention of risk behaviours in children and young people. Harry’s research interests lie in young people’s substance use, and improving the use of evidence in prevention policy. He is currently undertaking projects that examine the effectiveness of interventions, the development of European addictions policies, and the use of quality standards in EU drug prevention practice. Harry is also interested in the psychopharmacology of ‘recreational’ drugs and how this might inform the development of interventions to reduce abuse and harm. Finally, he takes an interest in the emergence of novel psychoactive drugs and the mechanisms of dispersal through drug user populations. Harry is a member of the UK’s Advisory Council on the Misuse of Drugs (ACMD), providing specific expertise on prevention issues. Please visit http://www.cph.org.uk/people/harrysumnall/ for more information. Since 1996, Gregor has been responsible for prevention responses at the EMCDDA. He has developed databases on best practice examples (EDDRA), evaluation tools (EIB) the Prevention and Evaluation Resource Kit (PERK) and the Prevention profiles on the EMCDDA’s website. His main activities include the development of common European indicators on the implementation of prevention policies in Member States and the promotion of a better understanding of universal, selective, indicated as well as environmental prevention in Europe. Gregor works on methodologies for monitoring prevention responses as well as how to improve and evaluate them. 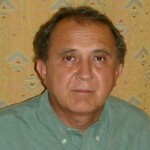 Dr Amador Calafat is the coordinator of the European Institute of Prevention Research (Irefrea) network. He is a Psychiatrist working in Palma de Mallorca, Spain. He has been actively involved in research in risk behaviour and implementation of programmes (family, school and recreational drug use) since 1980. He has been leading or has participated in different European funded projects (see www.irefrea.org for projects and publications). 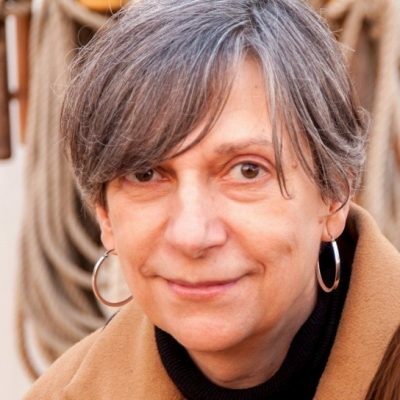 Rosaria’s research interests lie in longitudinal studies of determinants of youth’s tobacco use, as well as in evaluation of public health interventions, particularly using community trials. She is currently head of an intervention development and evaluation unit within the large Centre for Epidemiology and Community Medicine of Stockholm Health Care District. She has recently initiated a large national study, exploring school climate, pedagogy and preventive programs in relation to young people’s mental health. 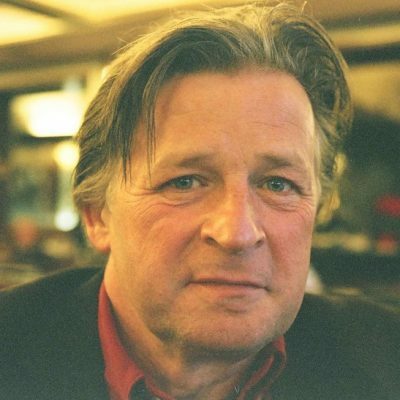 Peer is a social educator and has been the head of prevention at De Sleutel in Belgium for 25 years until 2011 when he was appointed as a full time lecturer/researcher at the University College Ghent. Peer has served at the basis of lifeskills interventions like Lions Quest in Europe in the late eighties and designed with a multicultural group of authors Unplugged in the beginning of this century. He published children’s stories to start prevention at very early age as well as articles in scientific and popular journals. Internationally, he presided the EU Prevnet Network from 2002 – 2006, and has led the EU-DAP Drug Abuse Prevention Faculty project for international adaptation and training of trainers. In 2017 he took the lead of the European Universal Prevention Curriculum adaptation process. The same year he wrote UNODC’s Line Up Live Up manual on life skills through sports activities. Peer has been awarded the EUSPR honour for leading European Prevention Science Practitioner in 2015. Zili’s research over the last forty years has been on prevention interventions to improve the public’s health including cancer, sickle cell disease, and drug abuse. In addition to conducting her own research, as the director of the epidemiology and prevention research program at the National Institute on Drug Abuse, she administered the largest national research program for the United States. In this capacity she represented the U.S. on several international programs and continues to serve as a consultant to international groups. Zili has devoted the last two decades to advancing the field of prevention science and was a founder of the U.S. Society for Prevention Research and an advisor to the establishment for the EUSPR. Samuel has been a member of the EUSPR since 2017 and is the current Lead of the EUSPR Early Careers Forum. He completed his doctorate in Psychology at the University of Kiel, focusing on multiple substance use in adolescents, and started his postdoctoral research on prevention in civil protection at the University of Greifswald. In addition to his research, he has worked on the development, implementation, and evaluation of school-based prevention projects. His main interests include health across the life span, substance use, and methodology in prevention research. 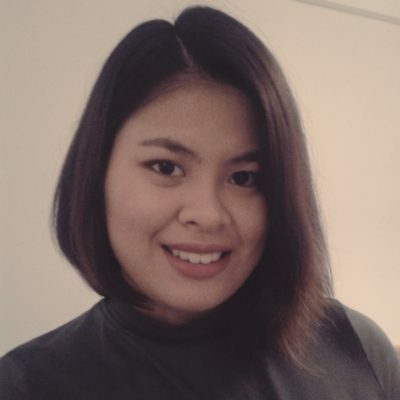 Joella has been the administrator for the EUSPR since May 2018. Her work includes facilitating meetings of the EUSPR Board, assisting the Society’s Secretary to manage membership applications and renewals, maintaining the website and distributing relevant information to members on request. In addition, Joella assists the Chair of the Conference Technical Committee and the President of the Society to organise the annual conference and members’ meeting. Joella also collaborates with the European Institute of Studies on Prevention (IREFREA) on research projects focused on drug use prevention (see http://www.irefrea.eu for projects and publications).